Autonomous vehicles are quickly emerging as the next innovation that will change society in radical ways. Champions of this new technology say that driverless cars, which are programmed to obey the law and avoid collisions, will be safer than human controlled vehicles. But how do we program these vehicles to act ethically? Should we trust computer programmers to determine the most ethical response to all possible scenarios the vehicle might encounter? And who should be held responsible for the bad − potentially lethal − decisions these cars make? Join us for a live taping of Philosophy Talk, the nationally syndicated public radio show, as we examine the topic of self-driving cars. 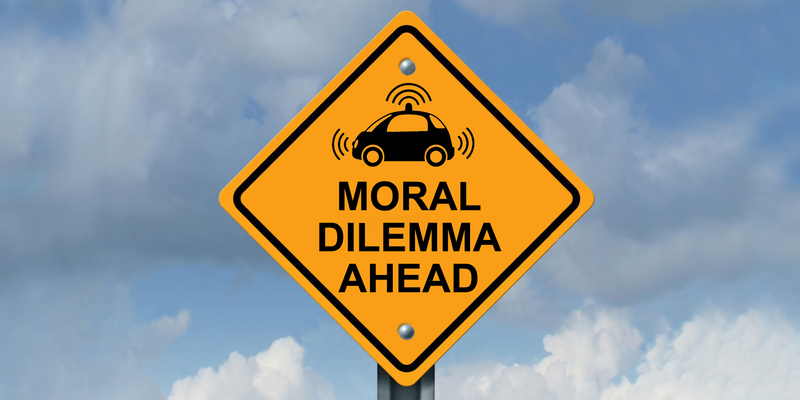 Our host philosophers will be joined by special guest Joshua Greene—Professor of Psychology at Harvard University and author of "Our Driverless Dilemma: When Should Your Car be Willing to Kill You?" In addition to thought provoking conversation, questions, and laughter, the show will feature Roving Philosophical Reporter Liza Veale, satirist and Sixty Second Philosopher Ian Shoales, and musical guest the Tiffany Austin Trio. This event is supported by the Symbolic Systems Program and the McCoy Center for Ethics in Society. Please feel free to contact Philosophy Talk with any event-related questions.